Your November 11th letter to me admits, but offers no justification for your Internet publication of a letter you addressed, but apparently never sent, to the Los Angeles City Council. Although it is clear that the letter violates the permanent injunction to which you are subject, the impact of your letter was negligible at best, more likely nil. Pursuit of further remedy thus is unnecessary. 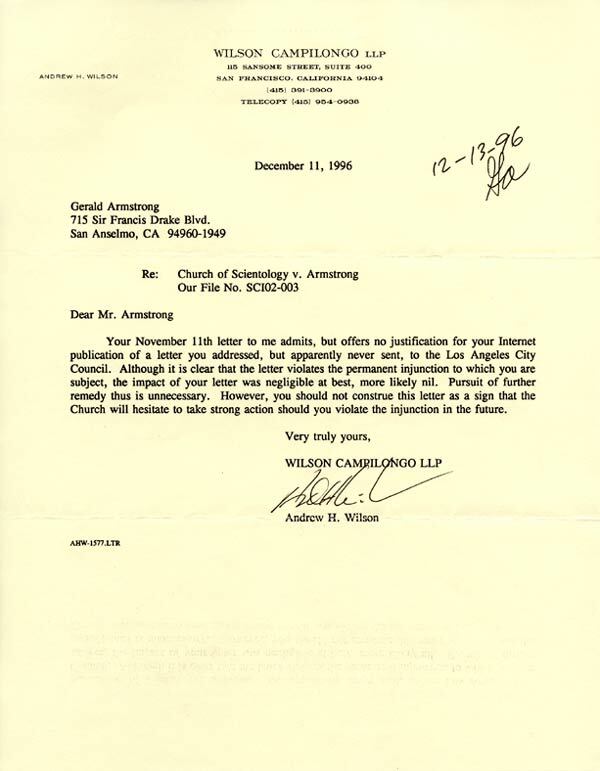 However, you should not construe this letter as a sign that the Church will hesitate to take strong action should you violate the injunction in the future.